After the recent sun, heat and light winds, the forecasted wind on Sunday never managed to turn up. 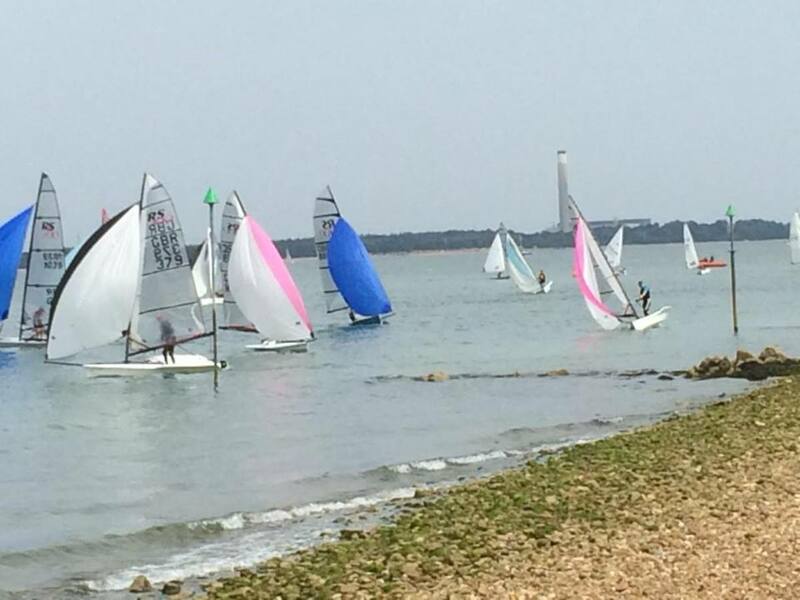 This didn't stop racing inn Gurnard Bay but the light and fickle breeze demanded lots of concentration and luck. The top three places in the fast handicap were taken by the RS100's of Mark Harrison, Giles Peckham and Al Dickson. The medium handicap was won by the Aero 9 sailed by Jane Peckham, followed by the chasing Laser Radials and other Aero's. Some of the slow handicap were a little too eager to get started. Illeana Taylor Burns, Steve Cole and crew Rafferty and Samuel Leather and crew Taylor Willows were all over the line at the start. Apart from the jump start, cadets Samuel and Taylor, with a combined crew age of only 18 did well sailing a bigger boat together for the first time in the testing conditions. Kate Gibbs once again took the win on her Pico chased by Dawn Bee. Killian Boag managed third overall and convincingly won the cadet Tera fleet from Thomas Leather.